One kitchen adventure I love is to take a really simple food, give it a little more time and attention, and turn “simple” into something really special. Of course, this usually happens around an EVENT, like a birthday or anniversary. 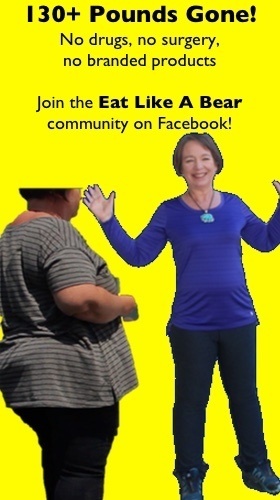 Occasionally, it happens just because it’s fun! 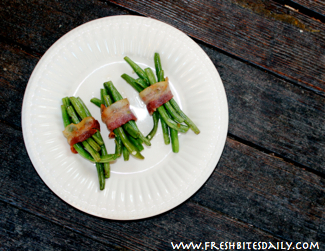 These bacon-wrapped green bean bundles are really simple to do, which is hard to believe when you see the drama they create. Start by putting together a recipe of green beans with “garlic chili lime butter” (here). When you make the recipe, throw in a few extra green beans. If you are like me, you will be snacking on those beans the whole while you are fixing the dish. Of course, ideally you will use fresh green beans — like from your garden or the farmers’ market. Canned or frozen green beans can never deliver the flavor of fresh-picked. The slim fillet type bean works best for this recipe. Cut the bacon slices in half and lay them out in a heavy iron skillet to cook over medium heat. Do not cook the bacon to the crisp point. You want it pliable for wrapping around the green beans. The oven time will finish the bacon. Arrange your steamed and seasoned green beans in 12 neat little bundles on a baking sheet. Wrap each bundle around the middle with a partially cooked bacon slice. Wrap so that the cut ends of the bacon are on the bottom of each bundle. Place the baking sheet in a 425 degree oven. Ten to fifteen minutes will suffice. Watch the roasting for your desired amount of doneness on the bacon. Remember the beans are already cooked tender-crisp and will not cook that much more because of the way they are bundled together. 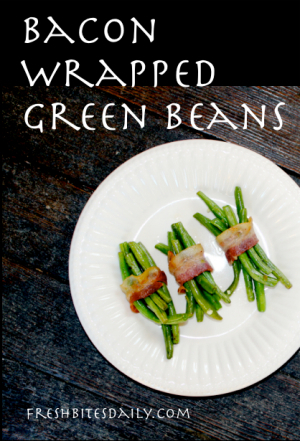 This green bean dish is best served hot when the bacon is at its crispiness but even at room temperature, this is a delicious dish that will get you rave reviews.